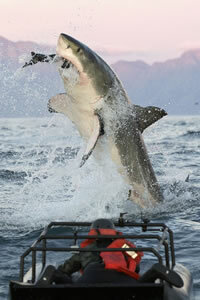 Great White Shark Cage Diving is the ultimate adventure activity in South Africa. 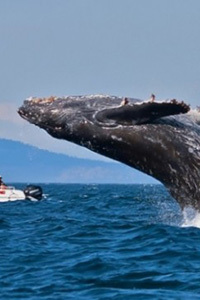 Nothing can be more exhilarating than coming face to face with this magnificent predator. 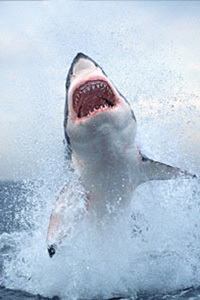 With Shark Zone visit two of the best shark diving spots in the Western Cape: GANSBAAI and SEAL ISLAND in False Bay. 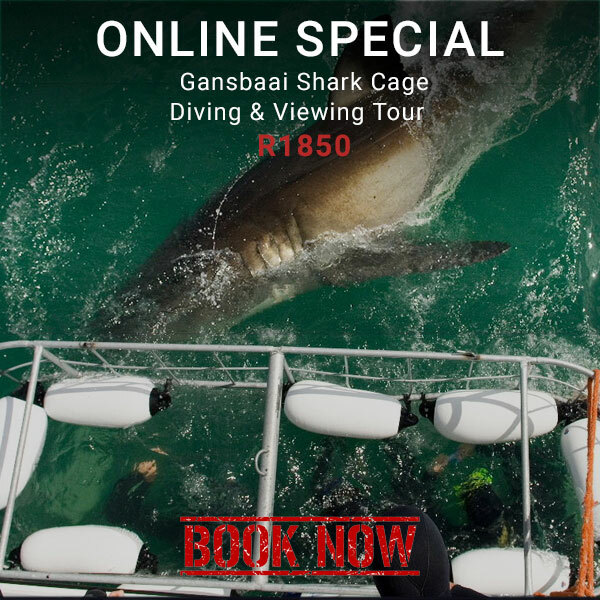 Gansbaai: While there are wealth of shark viewing and diving opportunities in South Africa, shark cage diving in Gansbaai, – Shark Alley, specifically - is without a doubt the best of the best. Shark Alley is a channel of water between two islands: Dyer Island and Geyser Rock. 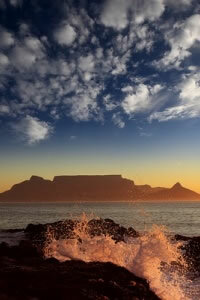 As Dyer Island is home to 50 000 Cape Fur seals, it provides ample hunting opportunities for the apex predator. As such, Gansbaai is the world’s capital for Great White sharks and boasts the largest population of these majestic animals year-round. 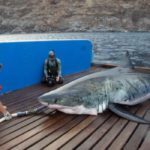 Seal Island – False Bay: Just 45 minutes from Cape Town you can watch the incredible phenomenon of Great White Shark hunting and breaching, as they hunt for seals. With Shark Zone witness Great White Shark natural predation, Great White shark breaching and Great White shark cage diving all in one fantastic, exhilarating trip. Seal Island near False Bay is the only place in the world which offers such an incredible combination of experiences all in one place! 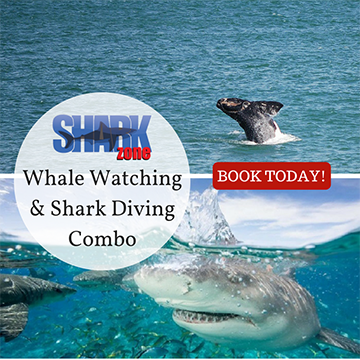 For shark cage diving near Seal Island peak season is from mid-May to mid-September, so ensure that you book with Shark Zone during these times. We have been operating for over 11 years. Shark Zone guarantees you the lowest rates! 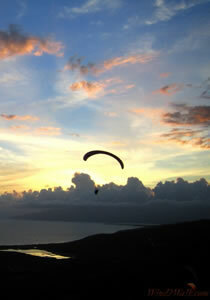 Private transfers on request, professional service and optimum seat availability are ensured. We monitor the weather closely, and will inform you of bad weather in advance. 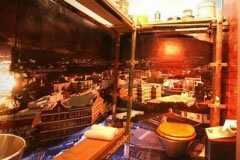 We will also provide you with exciting alternatives to ensure you the best experience, should you experience bad weather. 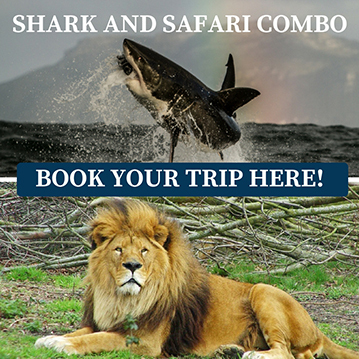 Not only do we offer Shark Cage Diving, we also offer: Big 5 Game Safari Expeditions to a reserve just outside of Cape Town, Whale Watching tours up Cape Whale Coast, paragliding trips over Cape Town, and helicopter rides where you can set your eyes on a breath-taking, aerial view of the city. 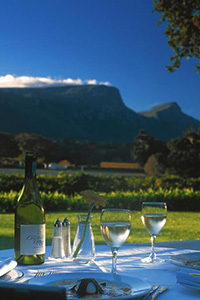 Cape Town city tours are also available to ignite your cultural side and Winelands tours can be arranged, allowing you to experience some of the best wines of the Cape. For the adventure-seekers Shark Zone offers sand-boarding tours, and abseiling trips in the Kamakaze Canyon and down Table Mountain.